What if I were to tell you that there are no fewer than 27 hotel and resort properties in seven countries where you can redeem only 5,000 Hilton Honors points per night? Thanks to this new tool from Hilton called Points Explorer, you can now find the hotel or resort property at which to stay based on the budget of Hilton Honors points you wish to redeem at your choice of location anywhere in the world which has a hotel or resort property that participates in the Hilton Honors frequent guest loyalty program — and that is what was used to find the 5,000 point redemption deals, which are listed below and are alphabetized by country. 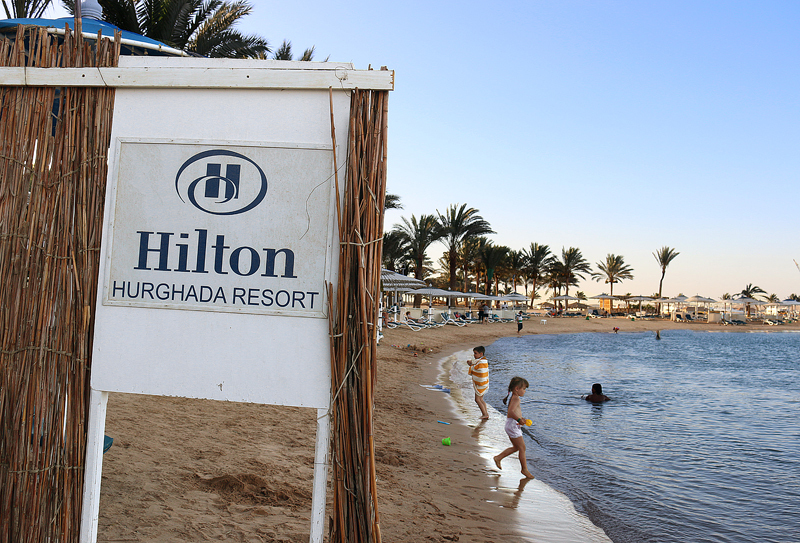 For example, you can redeem 5,000 points per night at the Hilton Hurghada Resort — but you can also pay as little as $47.00 per night — when staying for two nights from Tuesday, March 12, 2019 to Thursday, March 14, 2019. I have stayed at that resort property and intend to write about my experience — despite being there almost four years ago. I intend to delve into more detail about the Points Explorer tool in a future article, as I will find out additional information tomorrow morning during a telephone call with representatives from Hilton. Both resorts in Egypt would be luxurious deals/steals at 5,000 points per night. With the current sale on Hilton points, one can purchase 10,000 points for $50, which equates to paying only $25 per night. Add in the ability to get a fifth night free, and you could enjoy a 5-day stay at either Egyptian resort for the equivalent of $20 per night. That’s almost too good to be true. Too bad I have zero plans to visit Egypt anytime soon. And that’s exactly why prices are low.